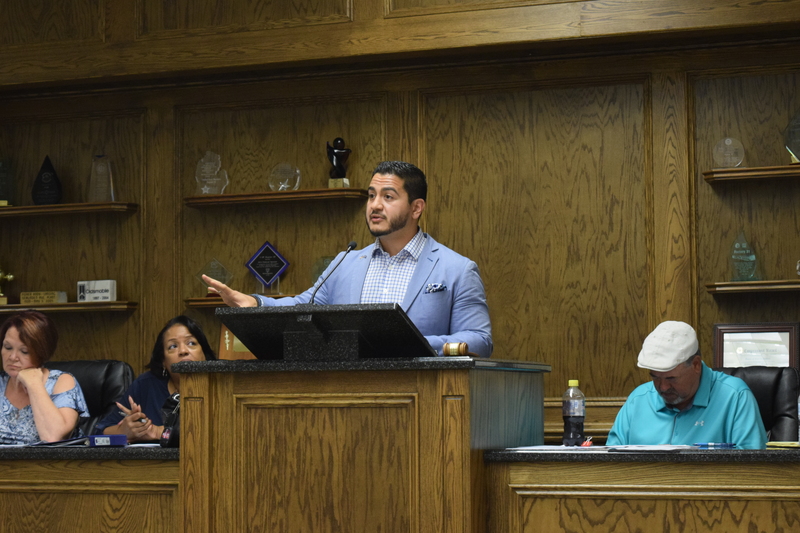 FLINT, MI – Democratic gubernatorial candidate Abdul El-Sayed spoke to members of the Genesee County Democratic Party during their monthly meeting on Thursday, Sep. 14 about what he would do as governor to guide Flint through its ongoing water crisis. El-Sayed spent much of his time focusing on groups that he feels were disproportionately affected by the state’s current administration, saying that he hopes to work towards a society where everyone has equal opportunities. While speaking about his time as the director of the Detroit Health Department, El-Sayed brought up a first of its kind lead testing program that his department piloted. Attendees at the event, which was held at the UAW Region 1D hall and was moderated by former lieutenant governor John Cherry, also had the opportunity to ask El-Sayed their questions. One attendee, Bobbie Clayton Walton, asked El-Sayed what he would do to give power back to local governments. “This current administration has sought to balance its books on the backs of its municipalities. And the extreme of that is what happened here in Flint and the whole system of emergency management that created it,” El-Sayed said. “We have to equip people with access to the means of being able to govern at the municipal level. We have to repeal the emergency manager law that has taken control away from people to be able to govern themselves and that has enacted a single individual with no mandate to focus at all on operations but who only is allowed to focus on costs. And under emergency management, we haven’t even seen any better performance when it comes to costs either. Ultimately, El-Sayed emphasized a message of unity and engagement to the attendees.